Participants at a Roundtable organized by ICMP in Sarajevo today highlighted the underlying fact that accounting for the missing in Bosnia and Herzegovina is the responsibility of the authorities. 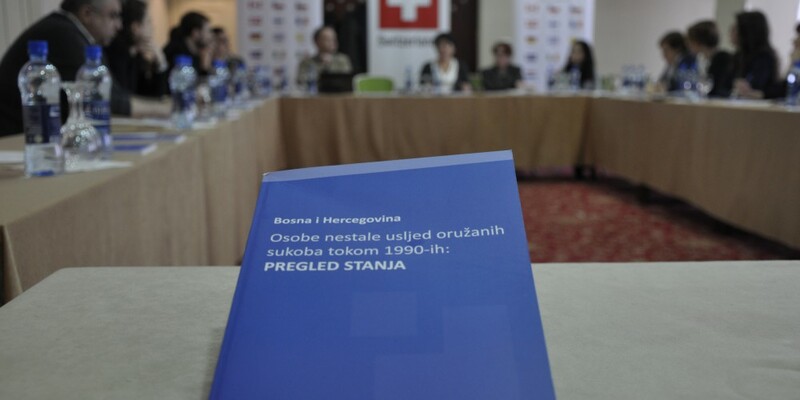 The BiH Law on Missing Persons, and the Declaration signed by Western Balkans leaders in Mostar last summer assert the fundamental obligation of the state to address the issue of missing persons, and to ensure that the rights of family members are upheld and that survivors and civil society have access to information and a proper investigation. Officials at every level of government are obliged to cooperate – fully and effectively – in accounting for the missing, whatever their ethnicity, whatever the circumstances of their disappearance.